Below are the first books on the market about Impala. Learn how to write, tune, and port SQL queries using Impala. Compact primer for people from the RDBMS world. Also in Japanese. 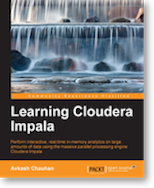 For Hadoop and Impala beginners.